Well, I am back on track covering The Voice. I hope the singers from The Voice can put some wind in my sails and I expect, to a certain extent, they will. 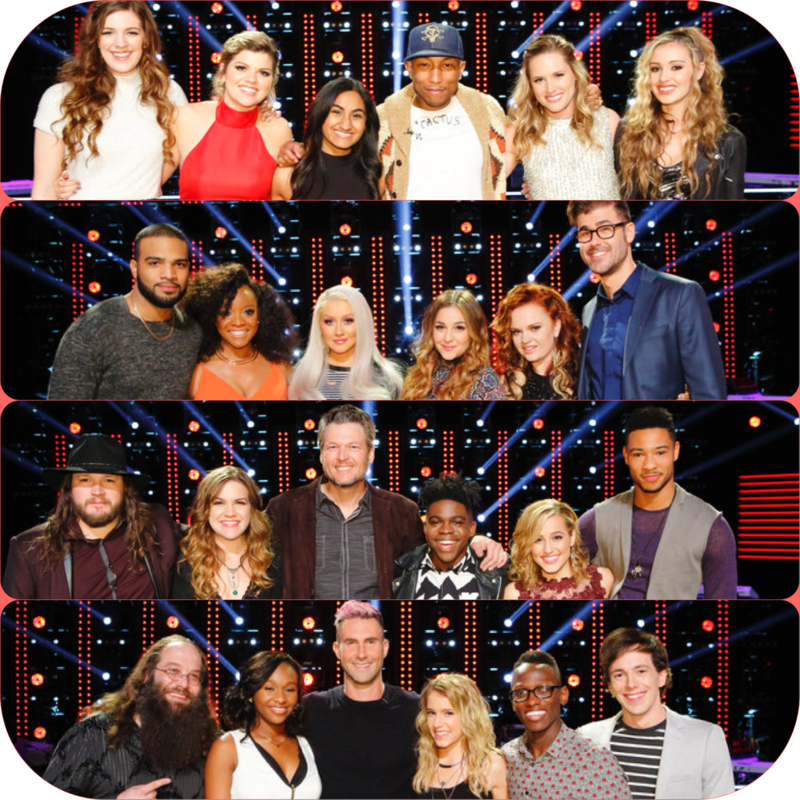 On Monday, Team Blake Shelton and Team Christina Aguilera’s singers will compete and on Tuesday, Team Adam Levine and Team Pharrell Williams‘ singers will be showcased. On Wednesday, two artists from each team will advance based on the viewers’ vote, and each coach will complete their respective teams with their own choice to form a Top 12 for the shows. This is the only part of the Voice that I don’t like, this cut is so drastic. 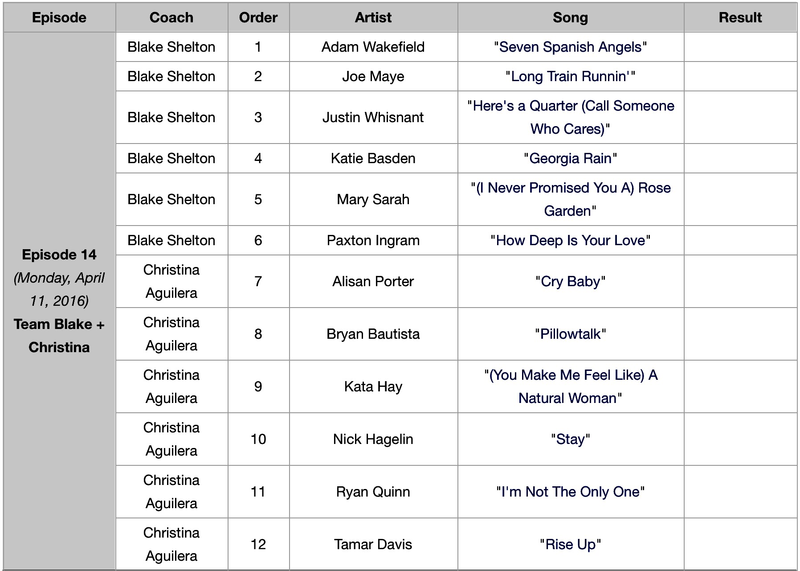 Team Blake: I like them all, but if I had to choose three, it would be Mary Sarah, Adam, and Joe! Team Christina: I like Bryan and the hubby liked Kata. I agree. Which is why I find it difficult to watch The Voice. So many truly great singers are “shown the door” early on in the show. Ridiculous. My top favorites from Monday night were Bryan, Ryan, Nick and Alisan. My favorites were Nick, Joe, Adam, and Tamar. And I forgot to mention Bryan.